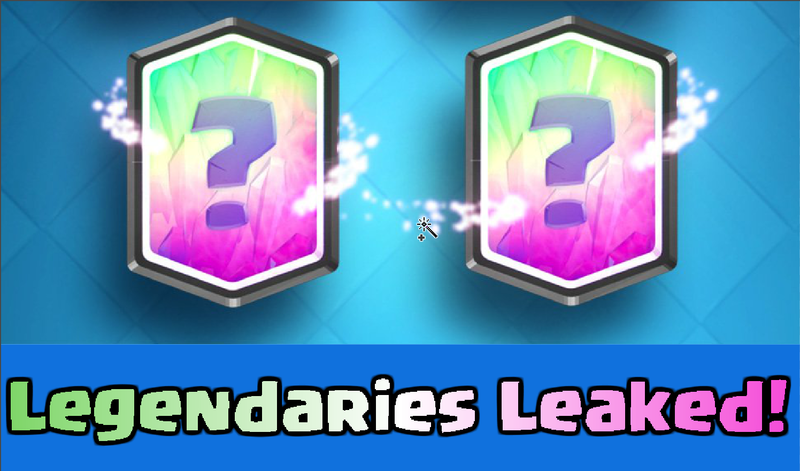 Clash Royale Update New Legendaries LEAKED? So unfortunately, this is in Chinese, which makes me doubt the authenticy of this leak. However, if you ignore the language, you can see that the second card leaked is the mega minion which was announced for the update today. The two rares and two legendaries also match the cards that are going to be in the Clash Royale September update! So it appears that we have some sort of icy creature as the other rare; possibly a melee unit that slows down any troops that are currently trying to kill it. Obviously, it couldn’t be too strong since it only costs 2 elixir. The skeleton spell could be an interesting legendary, because if you get the towers and troops to focus on a tank you placed, then drop a skeleton spell on the tower, that can do some SERIOUS damage! Anyways, 5 elixir is about the right cost and it seems like it would be a really interesting update to Clash Royale. Honestly, I can’t really tell what this is, besides the fact that it is green and has armor. My best guess to this legendary is that it is some sort of goblin that has armor. I’m thinking the mega minion but a goblin! 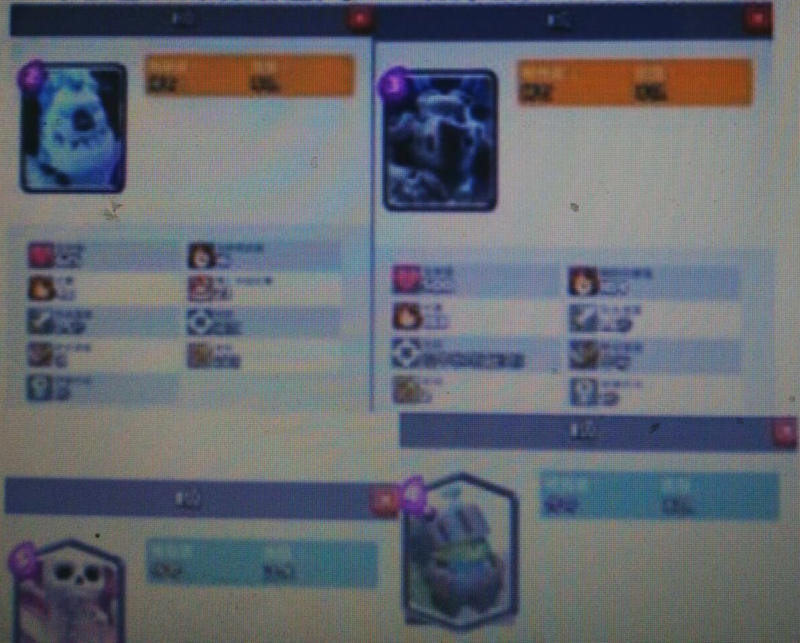 So these aren’t confirmed legendaries but it is something I stumbled across and found that it could be the next legendaries in Clash Royale leaked. I’m not sure if Clash Royale will announced all the cards at once or wait every two weeks to share one… Anyways check back soon to check out the next sneak peek! I Cant Wait! And I Agree. The Thing With The Armor Is The Inferno Dragon.and Just One Question-are There Go4ng To Be Hero Cards Like Other Leaks Ive Seen? Pingback: Clash Royale Update New Legendaries LEAKED? | Clash of Clans Guide, Strategies, Tricks and More!